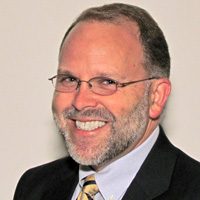 Donald J. Peurach is Associate Professor of Educational Policy, Leadership, and Innovation in the School of Education at the University of Michigan. His research, teaching, and outreach focus on the production, use, and management of knowledge-in-practice among social innovators and those they seek to serve. As such, his work sits squarely at the intersection of educational policy, leadership, and innovation. He is the author of Seeing Complexity in Public Education: Problems, Possibilities, and Success for All (2011, Oxford University Press) and a co-author of Improvement by Design: The Promise of Better Schools (2014, University of Chicago Press). Peurach also serves as a Fellow of the Carnegie Foundation for the Advancement of Teaching and as a Faculty Associate in the Center for Positive Organizations in the Ross School of Business (University of Michigan). Before pursuing an academic career, he was a high school mathematics teacher and, before that, a systems analyst in manufacturing, healthcare, and higher education. Peurach holds a BA in computer science from Wayne State University, an MPP from the Ford School of Public Policy at the University of Michigan, and a PhD in Educational Studies from the School of Education at the University of Michigan.